Meet one of Dr. Boyd's inspirations! 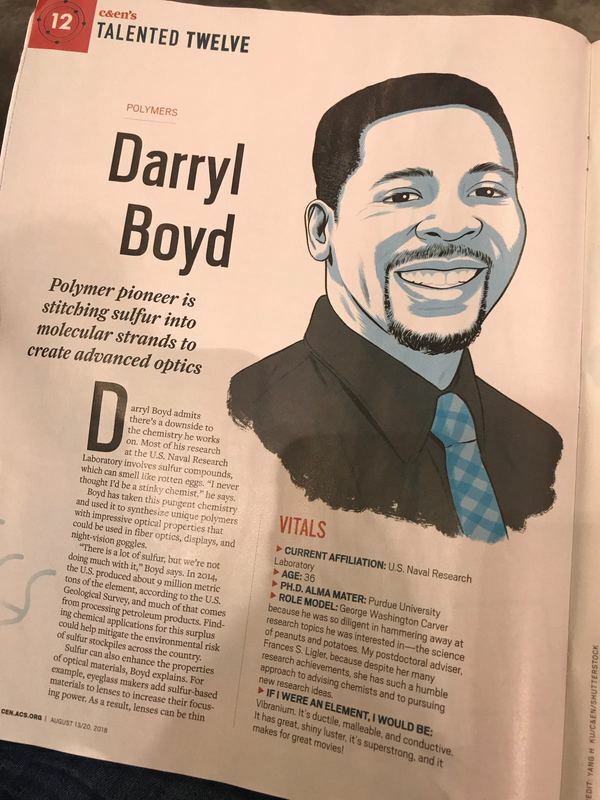 Dr. Darryl A. Boyd is a Polymer Chemist with a background in Inorganic Chemistry and Biochemistry. 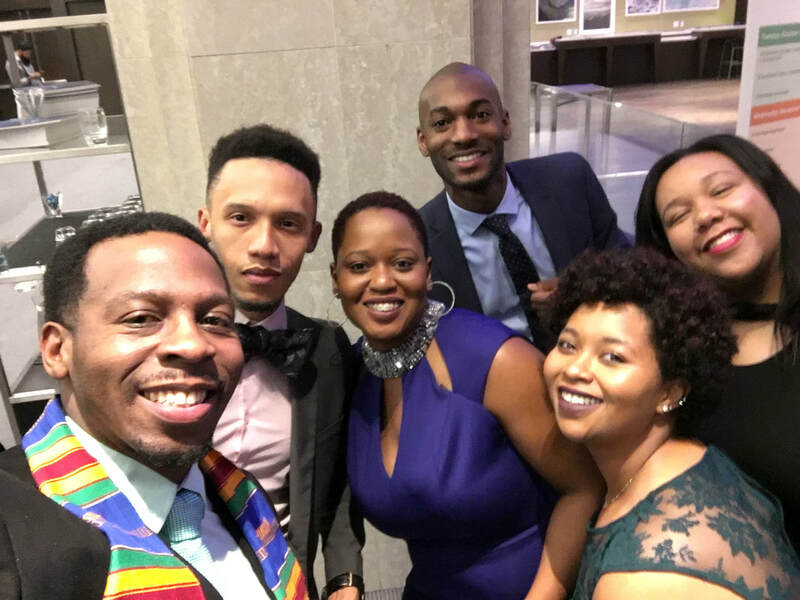 He was inspired to build this site by several of his younger relatives whom showed strong interest in science, and who were themselves inspired by Dr. Boyd's scientific career. 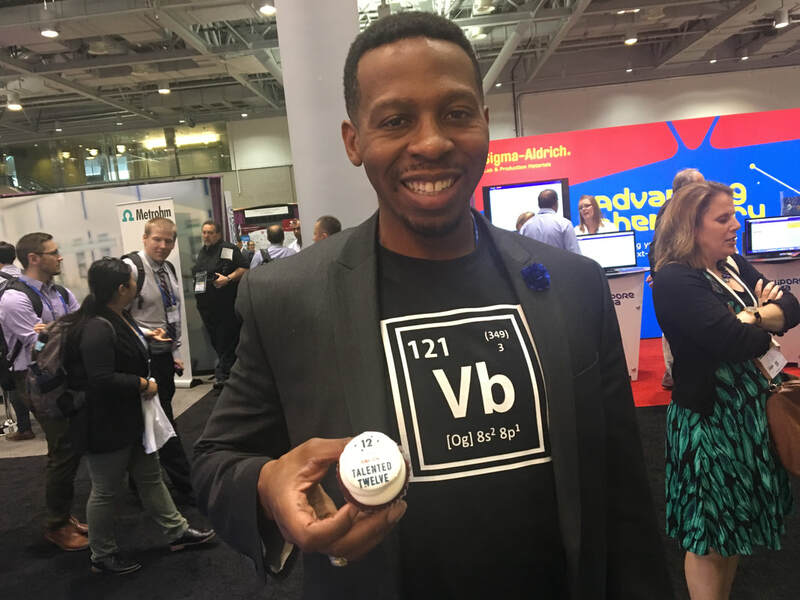 It is his hope that this site will serve as a fun, educational and inspiring tool for youths who are interested in science, while also serving as a thoughtful and thought-provoking resource for the broader scientific community. 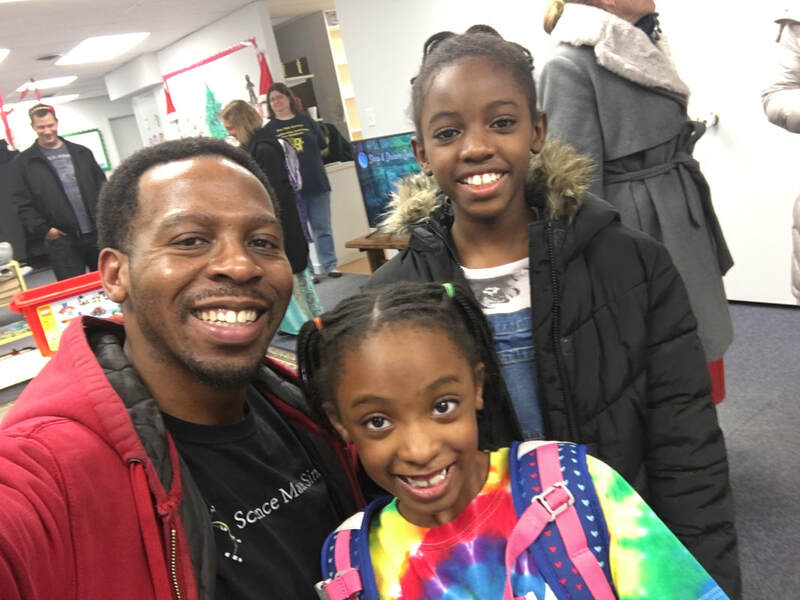 Dr. Boyd is the STEM Director at the Transformational Education Adventure Center (aka The TEA Center) in McLean, VA. 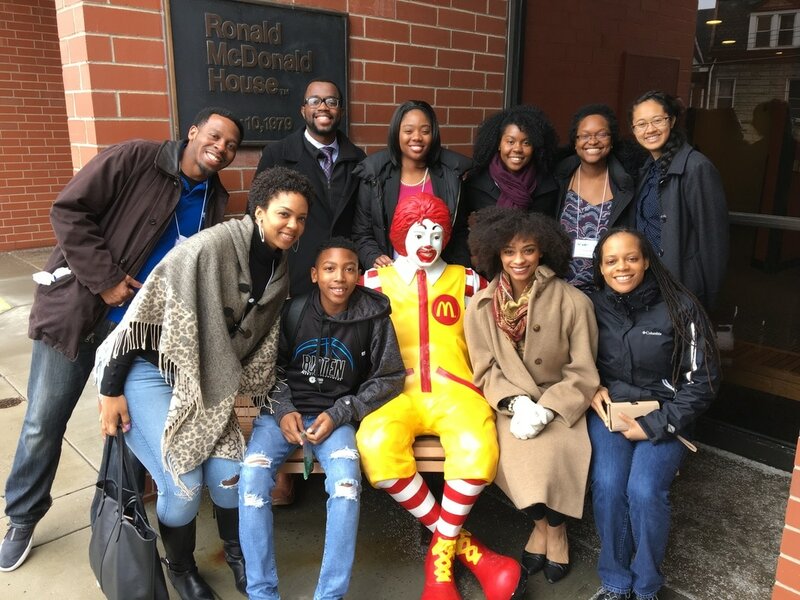 Here he has the opportunity to work with children (like those pictured above) and inspire them to take interest in the STEM fields. The RadLaunch Future Researcher Award is presented to an exceptional young inventor on behalf of RadTech's RadLaunch initiative. 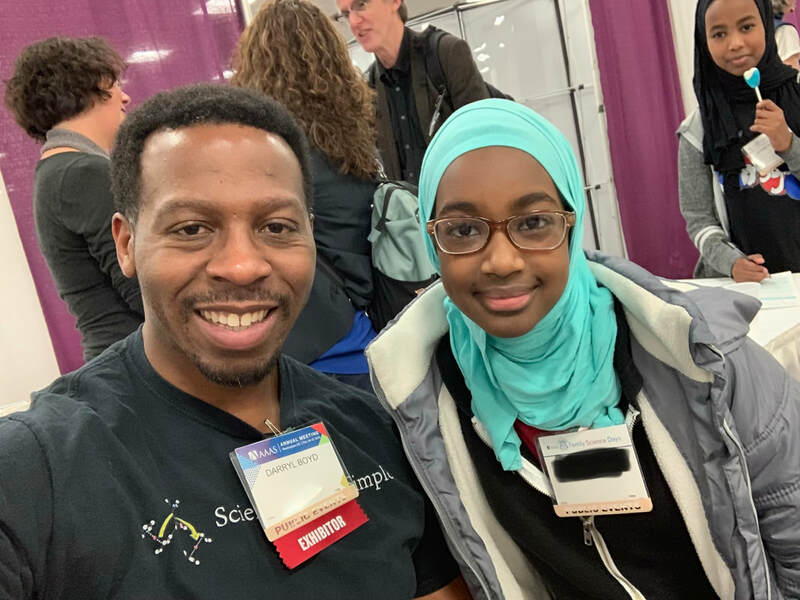 She's only in 8th grade and has already filed for a patent based on water purification technology! 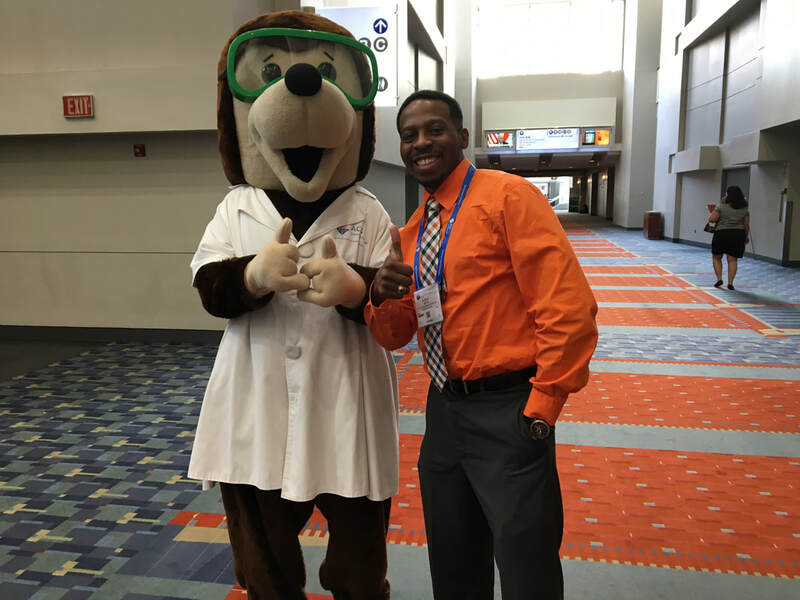 Dr. Boyd presents the inaugural Equity, Diversity and Inclusion lecture at the SPIE DCS conference in Baltimore, MD. 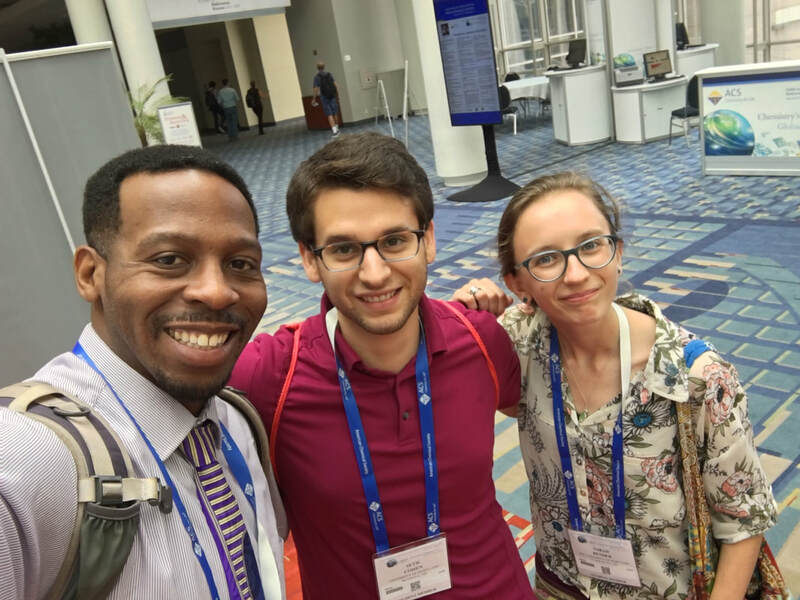 Dr. Siri Carpenter (middle) and Dr. Jennifer Cutraro (right) organized the "Interview a Scientist" at the 2019 AAAS Meeting. Dr. Boyd (left) participated with several other stellar scientists. 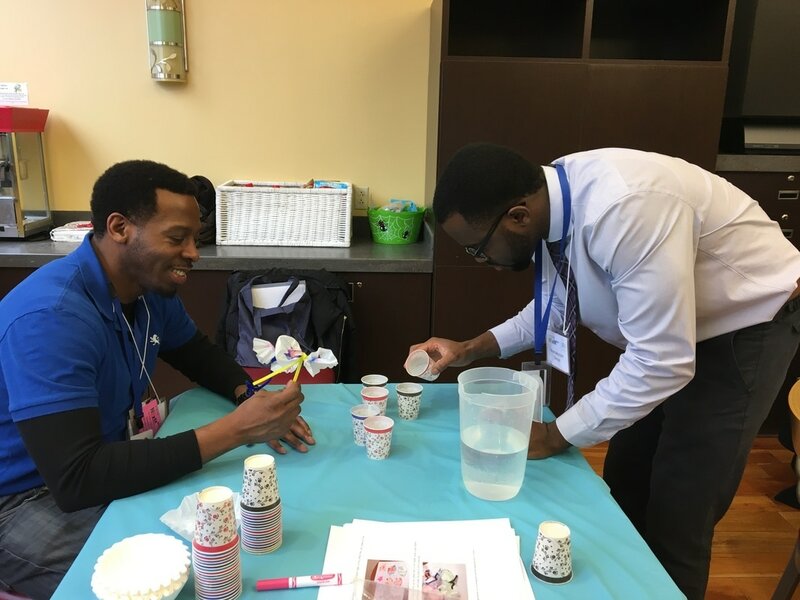 Dr. Boyd does some exciting dry ice demonstrations for children and their parents at the Kent Gardens Elementary School STEM Fair. 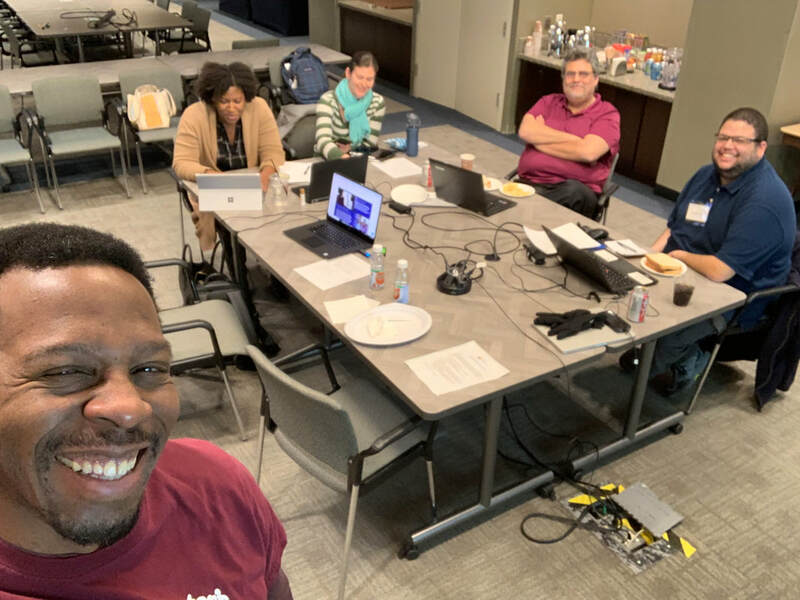 Planning session for the 2019 Conference of the National Organization of Black Chemists and Chemical Engineers that will take place November 18-21 in St. Louis, MO. 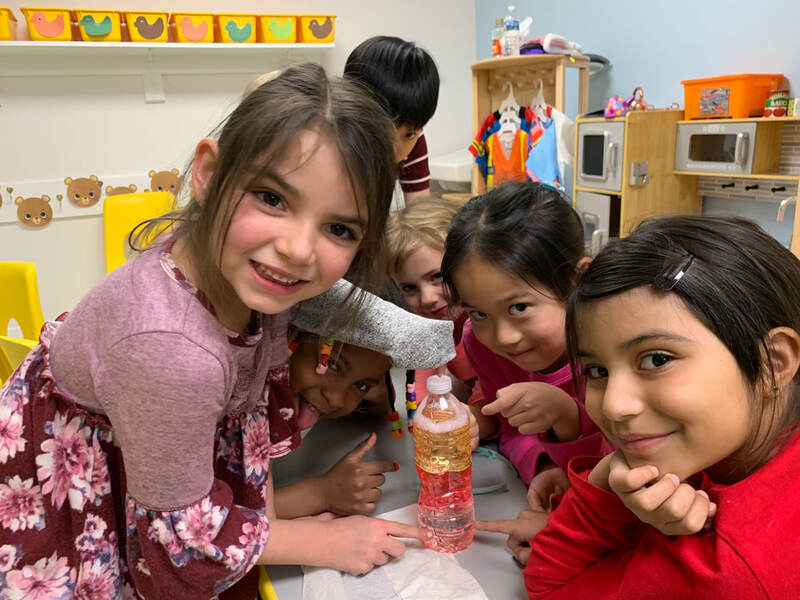 Learning about liquid densities with STEM class students at the Transformational Education Adventure Center. 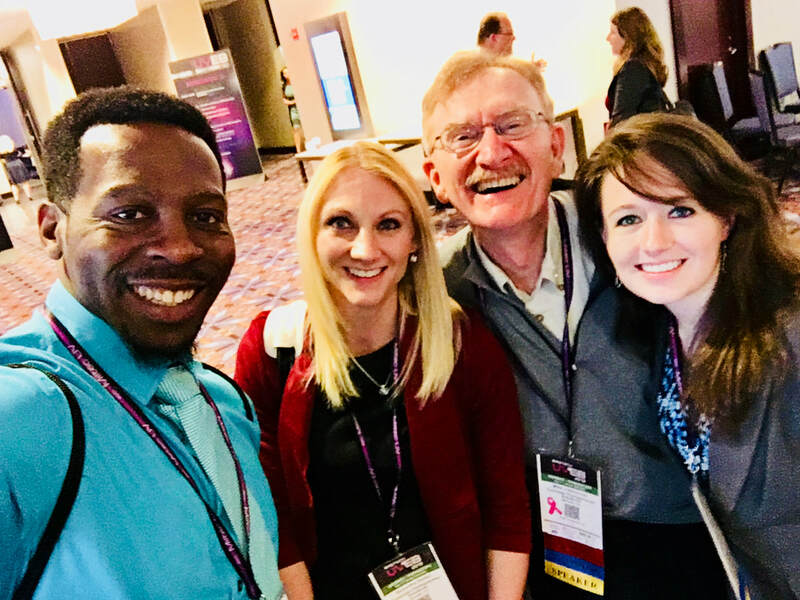 NOBCChE National Student Representative Dr. Victoria Parker and fellow US Naval Research Lab employee Dr. Treva Brown pose for a picture with Dr. Boyd at the 2019 American Chemical Society Leadership Conference in Atlanta, GA.
Volunteering with the Chemical Society of Washington during National Chemistry Week. 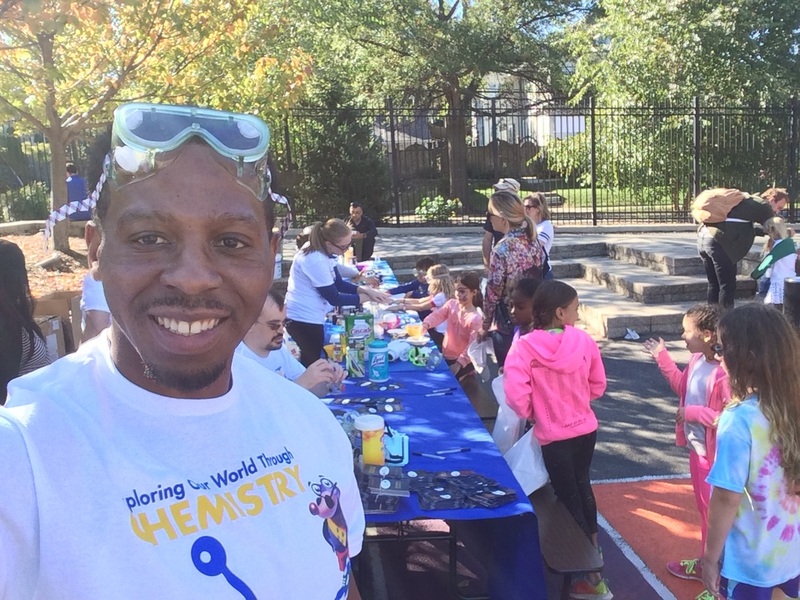 More than 80 young future scientists showed up for lots of chemistry fun. 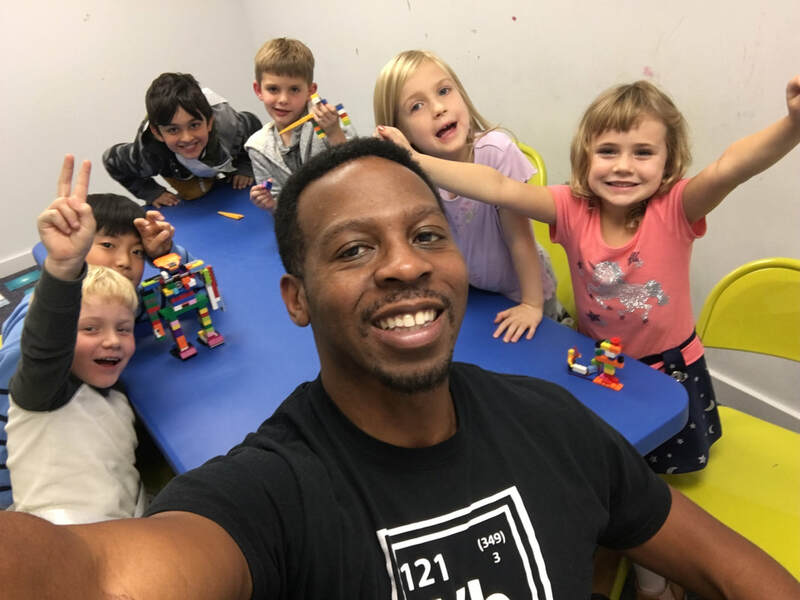 Dr. Boyd catching a moment with his Fall Lego Engineering class at the Transformational Education Adventure Center. 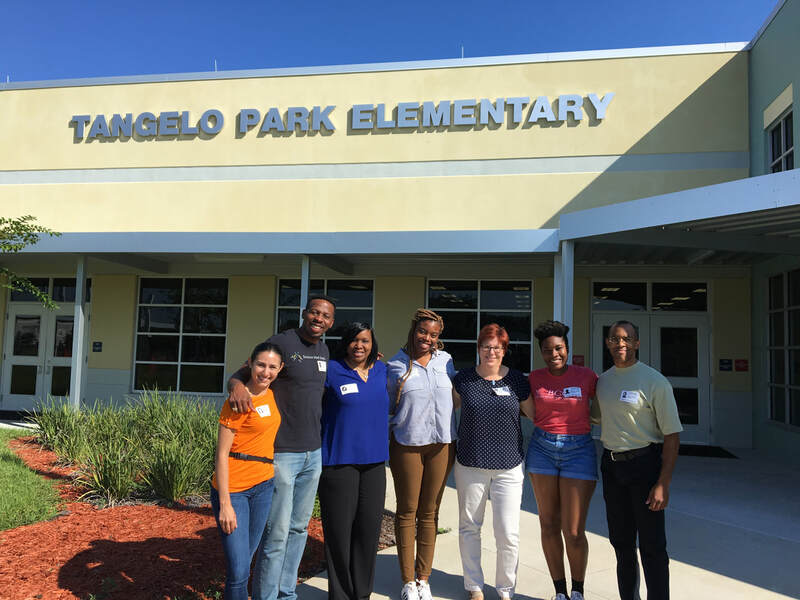 NOBCChE Conference attendees volunteered and did fun science experiments with Tangelo Park Elementary School students in the Tangelo Park Neighborhood of Orlando. 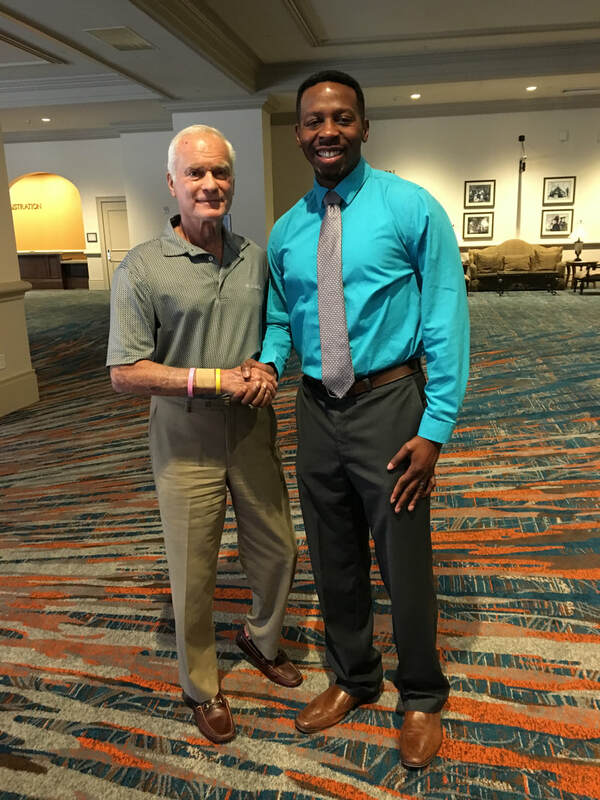 Central Florida philanthropist and hotel chain owner, Mr. Harris Rosen, stopped by to greet Dr. Boyd at his Rosen Shingle Creek Hotel, which was the site of the 2018 NOBCChE National Conference. Dr. Boyd and his wife pose with Surgeon Professor Cato Laurencin following the Percy L. Julian Luncheon. 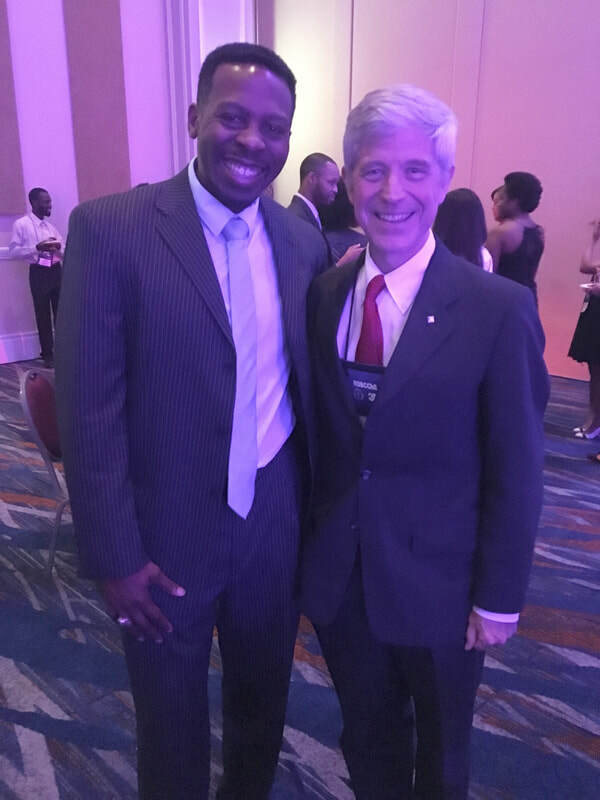 American Chemical Society CEO, Dr. Tom Connelly (left) always attends the NOBCChE Conference. 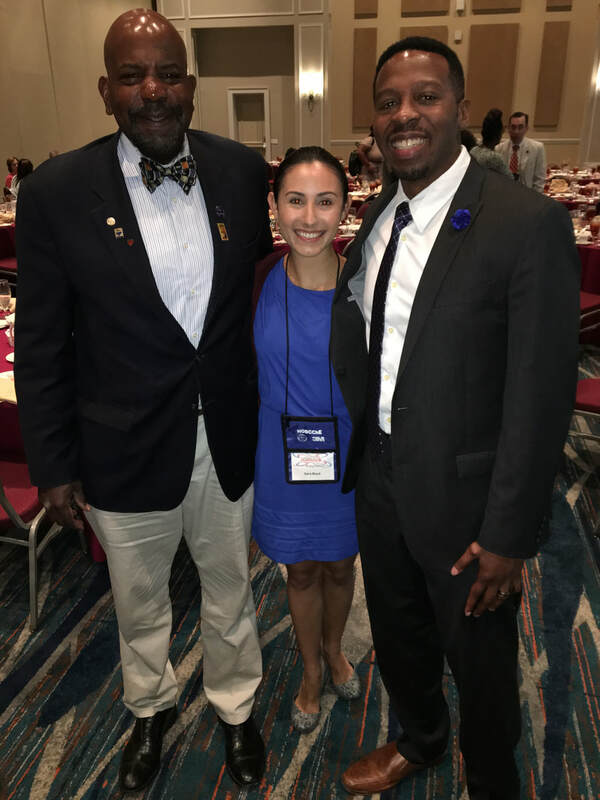 Dr. Boyd and his wife with T12 Class Member Jose Rodriguez (left) and 2015 MacArthur Fellow, Professor William Dichtel (right) at the T12 Luncheon. 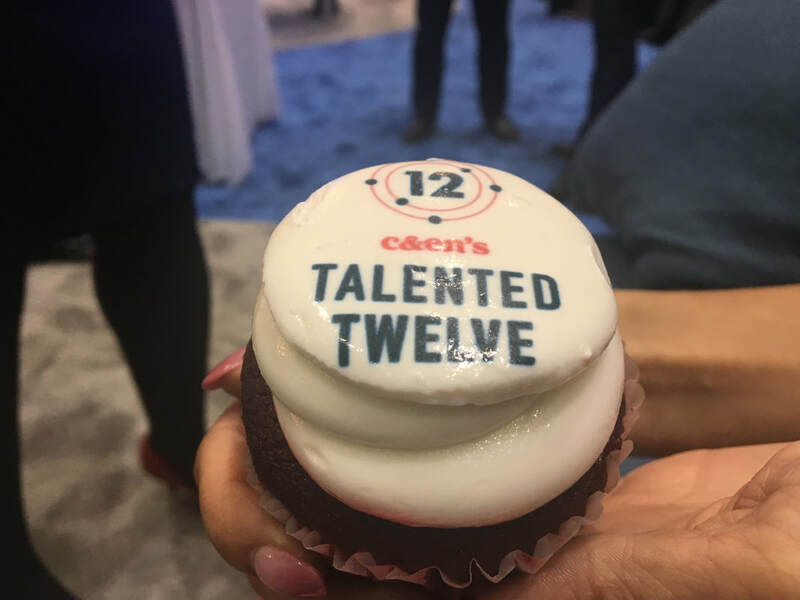 2018 C&EN Talented 12 Group Photo. Dr. Boyd and his wife posing with 2016 Nobel Laureate Sir J. Fraser Stoddart at the T12 Luncheon. 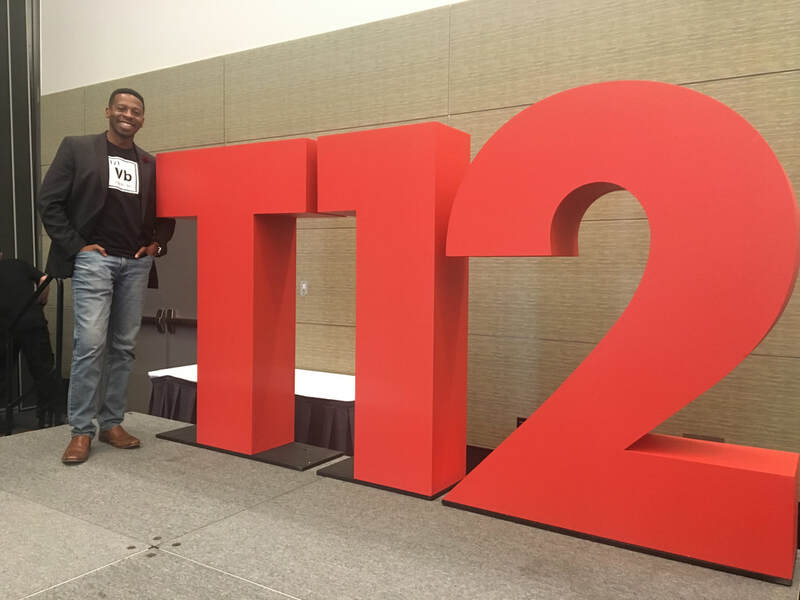 Dr. Boyd moments after delivery his C&EN Talented 12 talk. The morning also included informative talks delivered by the other Talented 12 Honorees. A candid moment captured with 2008 NOBCChE Percy Julian Awardee Dr. Sharon Haynie at the Fall 2018 American Chemical Society Meeting in Boston. Fun at the C&EN Talented 12 "Reveal"
Certificate from the Chemical Society of Washington (CSW) for participating in the ACS Project SEED Program. 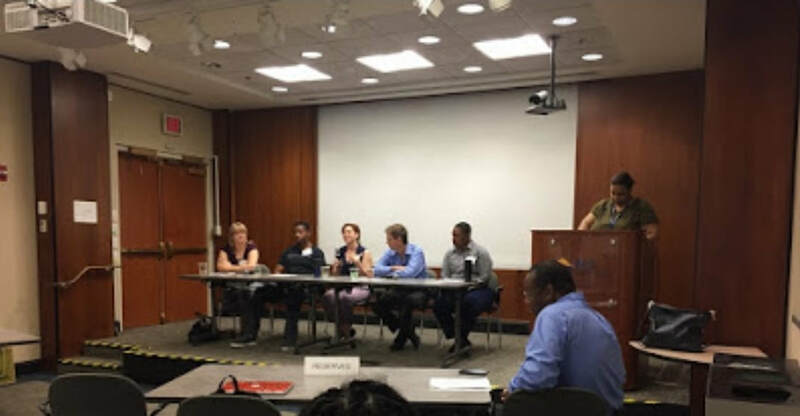 A CSW sponsored panel discussion on careers in science for Project SEED students. Dr. Boyd, and CSW President Allison Aldridge, discuss career paths for High School students interested in science in small groups. 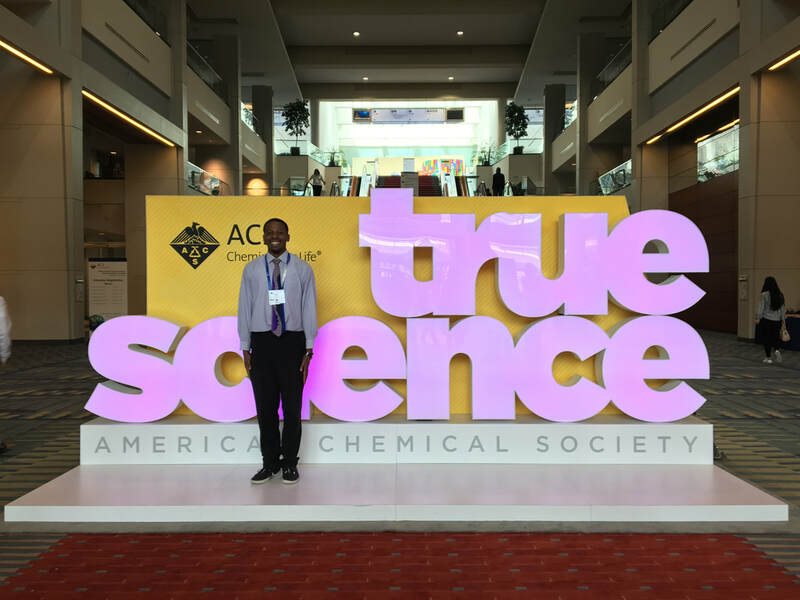 Dr. Boyd recently had the privilege of serving on the External Advisory Board (EAB) in the Chemistry Department of Purdue University. 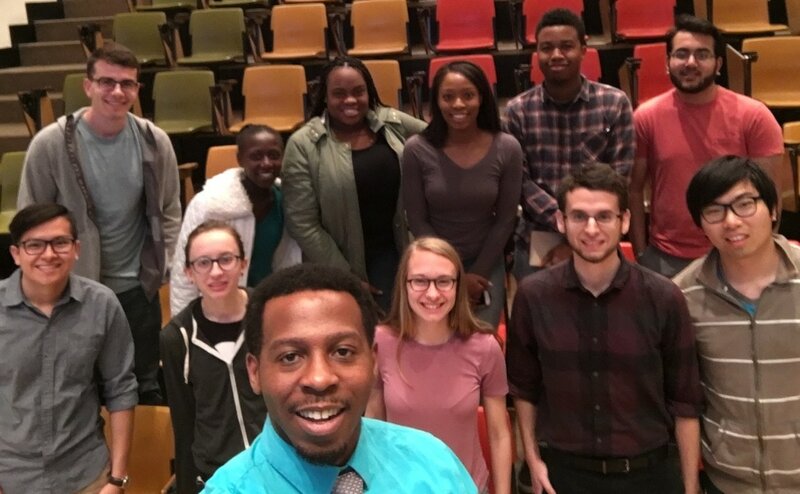 The EAB is a group of Purdue Chemistry PhD Alumni from underrepresented minority groups who are selected by current Purdue Chemistry graduate students to give counsel on how to navigate the graduate school process. 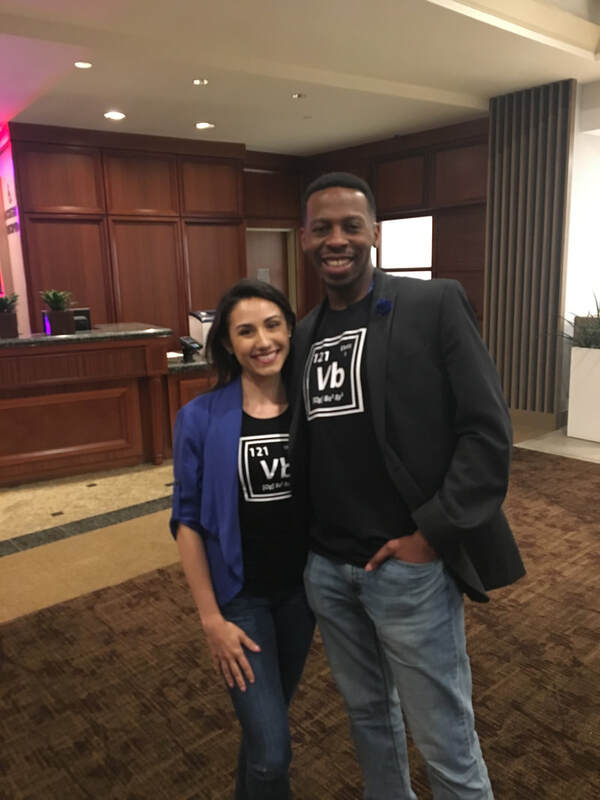 A candid moment with fellow UV+EB Magazine Board members from Colorado Photopolymerization Solutions at the RadTech 2018 Conference. Preparing to judge poster and podium presentations at the annual Howard University Research Symposium. 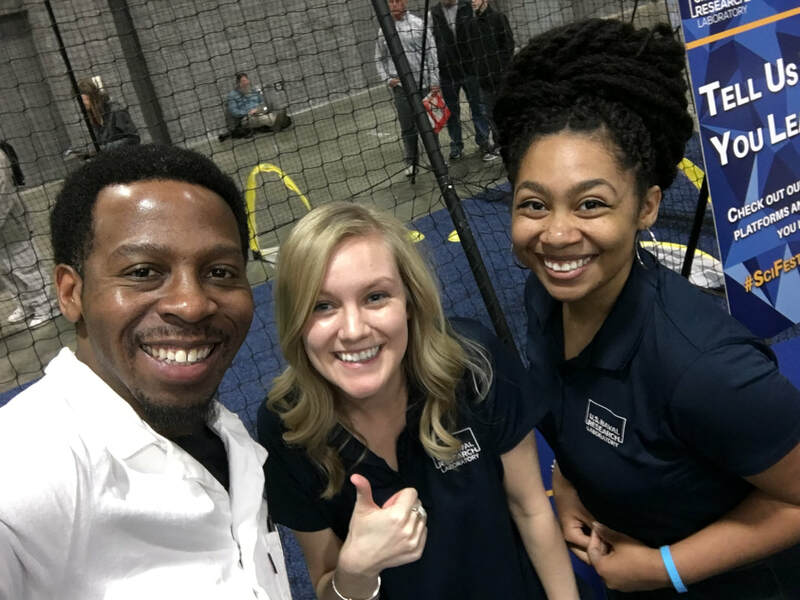 Doing fun experiments for children alongside fellow NRL colleagues at the 2018 USA Science & Engineering Festival. 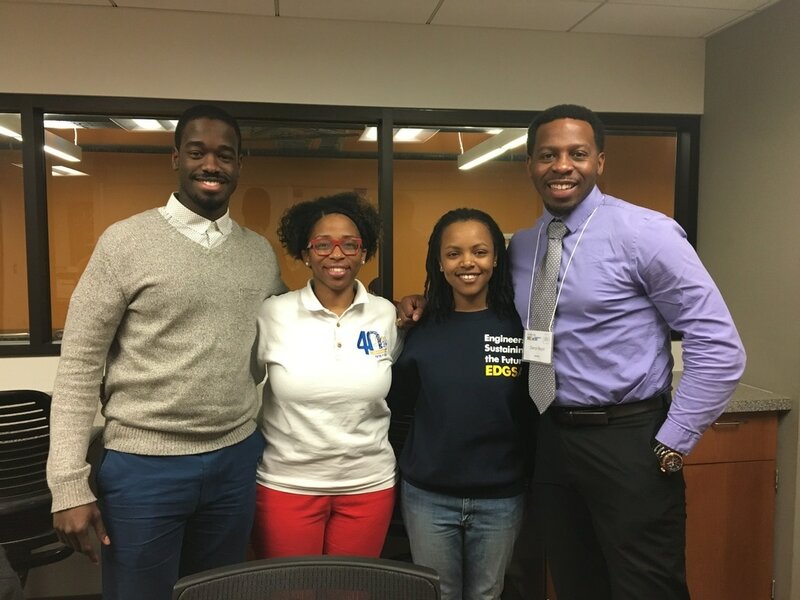 Chemical Safety Board (CSB) member Maurice Hawthorne (left) and Chairperson Vanessa Sutherland (center) pose alongside Dr. Boyd following his Black History Month presentation to the CSB. 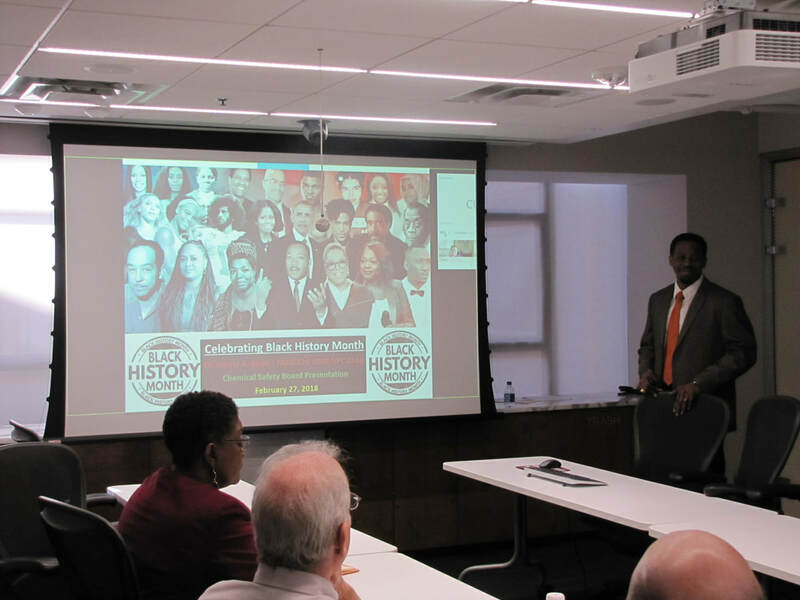 Dr. Boyd gave a presentation on the contributions of Black Chemists to science before the US Chemical Safety Board in Washington, DC. 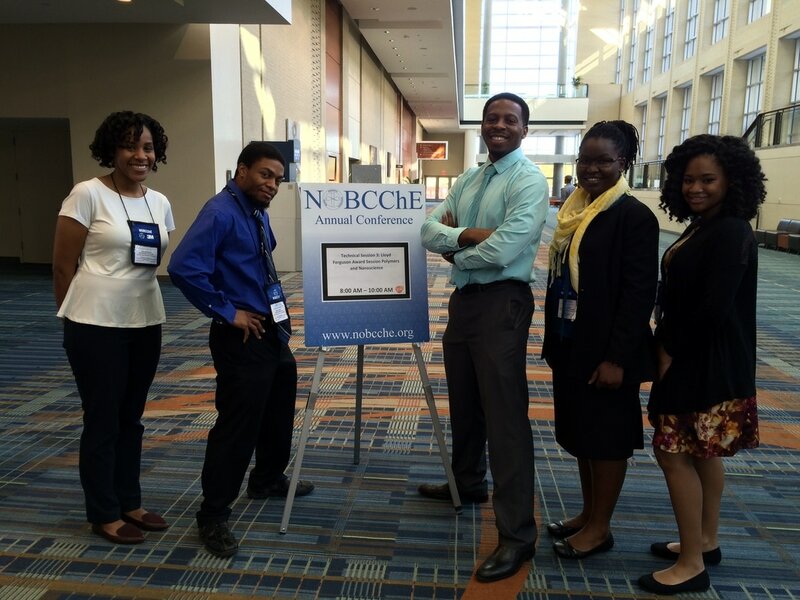 The presentation was given on behalf of NOBCChE. 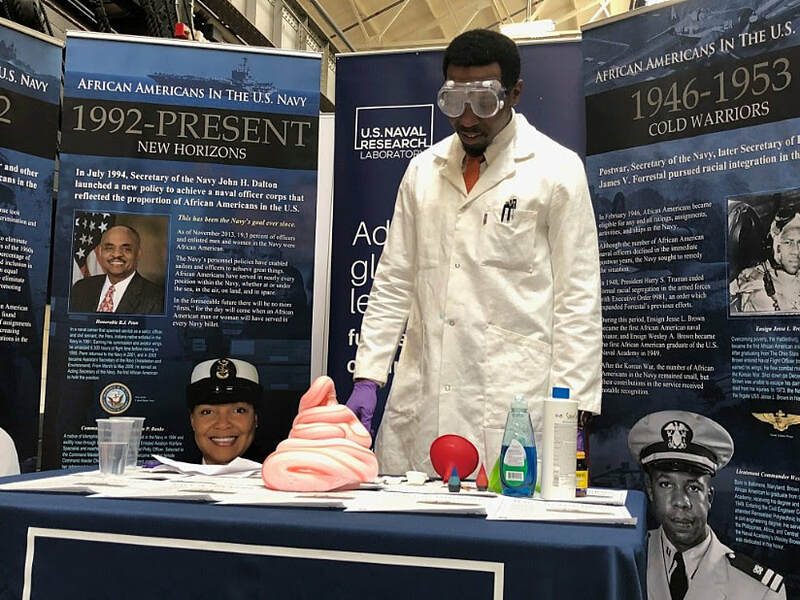 Dr. Boyd performed simple science experiments through Facebook Live with Hillside Elementary School in Roswell, Georgia, inspiring STEM education with Hillside students as they watched as a part of the school’s Innovators Program. A quick picture with Johns Hopkins University Professor and Oxide Director Rigoberto Hernandez following his riveting presentation to the Chemical Society of Washington. 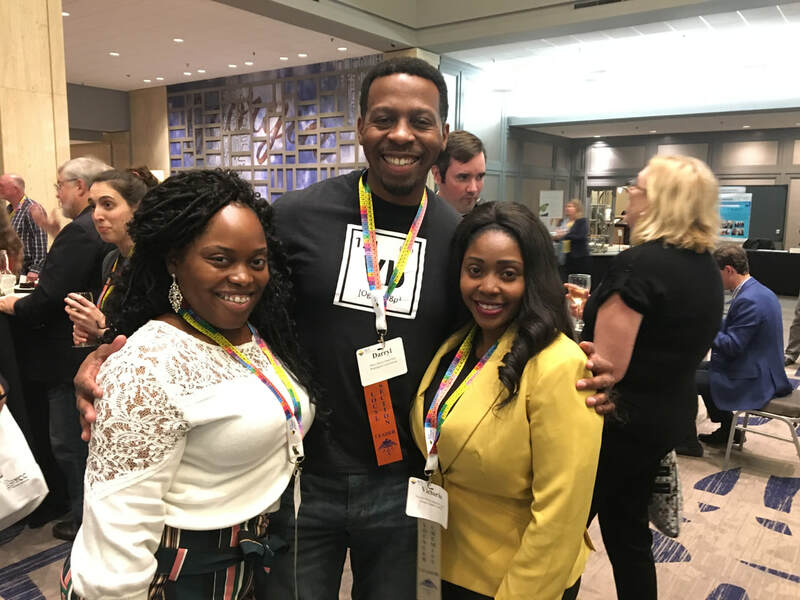 Dr. Boyd working alongside members of the NOBCChE 2018 National Planning Committee. Dr. Boyd poses with 2 of his students at the semester ending celebration at the TEA Center. 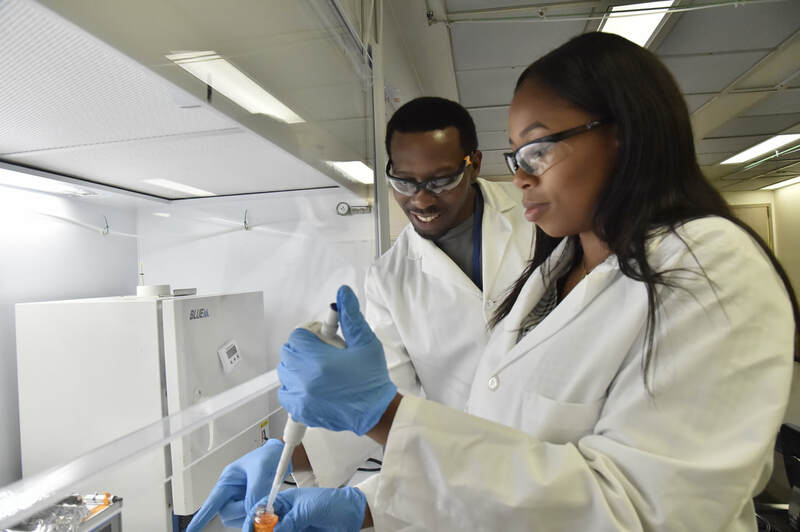 Working in the lab with HBCU-MI Summer Research student. 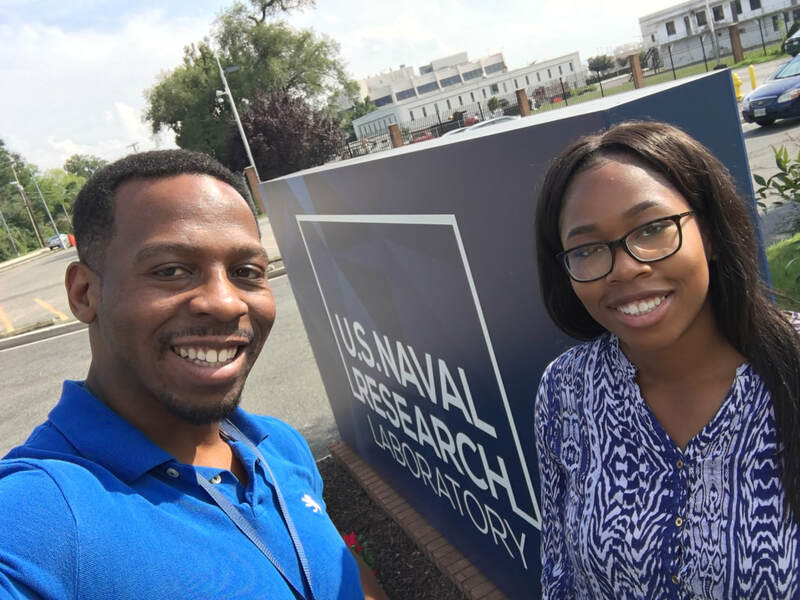 Dr. Boyd with his HBCU-MI Summer Research student at the US Naval Research Laboratory. Her research was recently published in Industrial & Engineering Chemistry Research (DOI:10.1021/acs.iecr.8b00856). 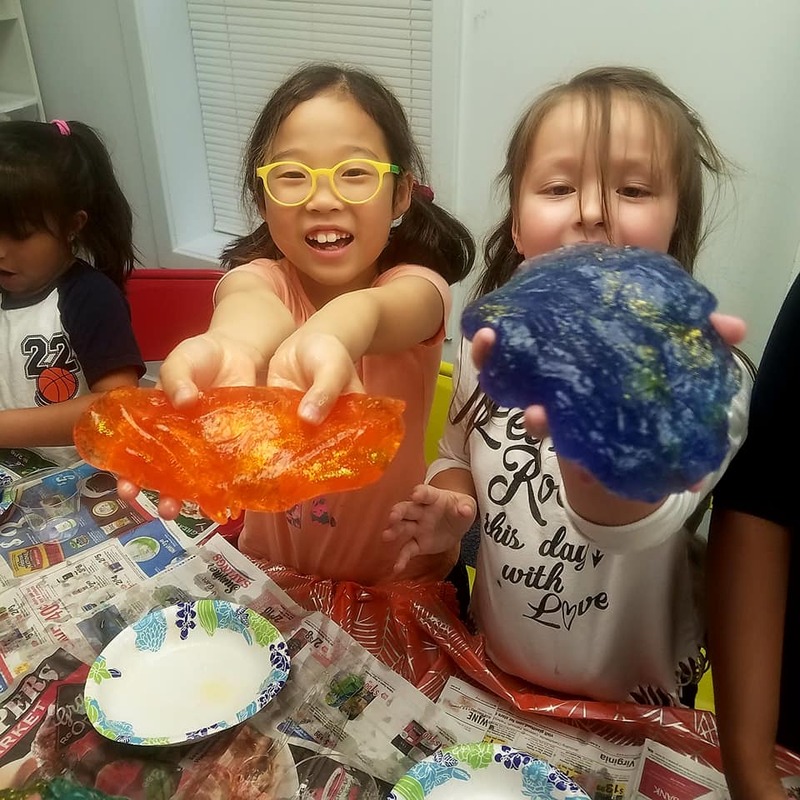 Learning about polymers by making slime with students at the Transformational Education Adventure Center. Whose slime looks cooler? 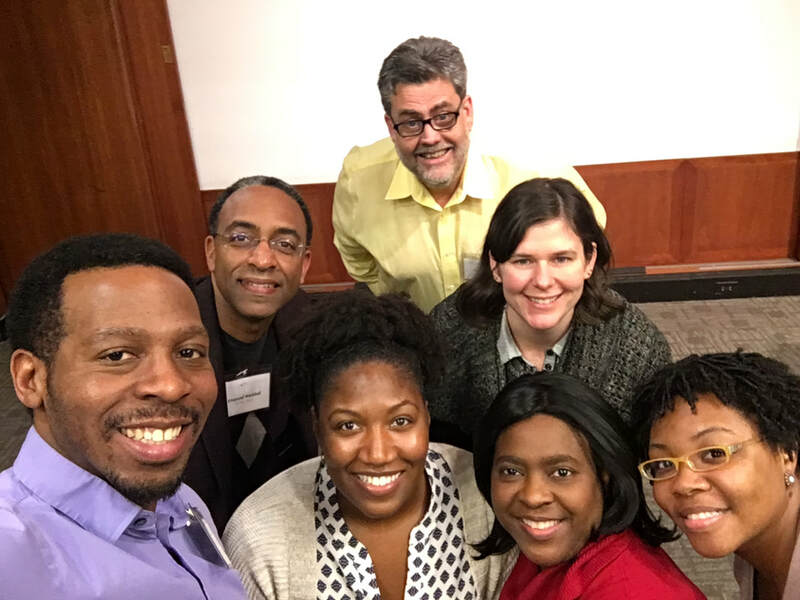 Having fun at the Fall 2017 ACS National Meeting in DC. See what "I" did there?